HOW DOES DIGITAL EYE STRAIN DEVELOP? Set colour and contrast tones to suit your eyes and match the brightness of your screen with your surroundings. Minimize reflected glare on your screen by using dimmer switches on lights and a protective anti-glare screen cover. Also consider positioning your screen so that it sits perpendicular to windows and other bright light sources. If you are having trouble locating the source of the glare, turn off your monitor to reveal a darkened screen and tilt/swivel your monitor until the reflection disappears. Consider obtaining a clipboard if you alternate between looking at your screen and paperwork that attaches alongside your monitor so that the two are at the same working distance. Use the 20-20-20 rule. Every 20 minutes take a 20 second break and focus your eyes on something at least 20 feet (6 metres) away. This will give your eyes a much-needed break and reduce some of the symptoms mentioned earlier. Remember to blink! Did you know that on average we blink 12 times per minute, but when we’re on the computer, we only blink 5 times per minute? That can add up to dry eyes. Relieve the discomfort by using artificial teardrops or gels and remembering to blinks. 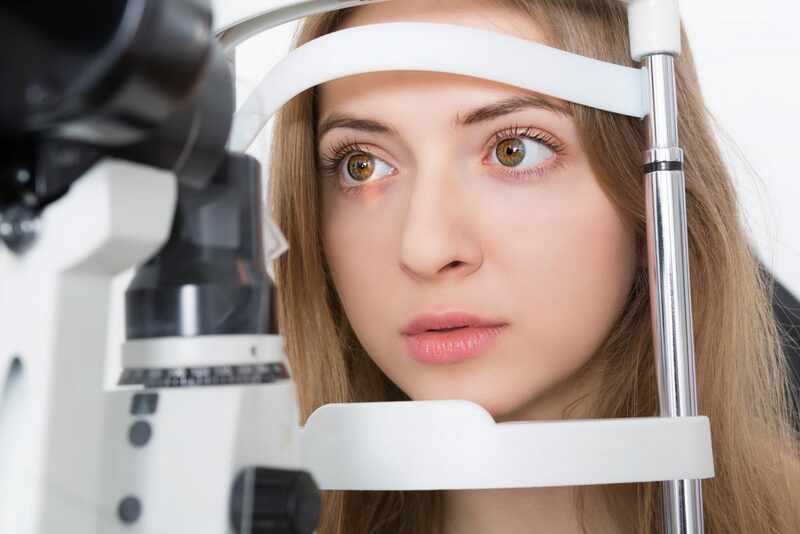 Consult your optometrist to determine which eye drops are best to relieve your dry eyes. Ask for a blue light blocking coating on the lenses of your glasses. The sun emits blue light, but so do our phones, desktop monitors, tablets and laptops. Blue light has several harmful effects. It can contribute to computer vision syndrome by reducing contrast and causing eyestrain. It can alter our sleep pattern by suppressing our melatonin secretion, which makes us less tired and makes it harder for us to fall asleep. Lastly, blue light can damage the light sensitive cells at the back of our eye in our macula and increase the risk of developing macular degeneration later in life. Your optometrist will talk to you about eyewear designed specifically for computer use. Symptoms of headaches, eye strain blurred vision, eye irritation, double vision, excessive tearing or dry eyes and excessive blinking or squinting are all common effects of Digital Eye Strain. 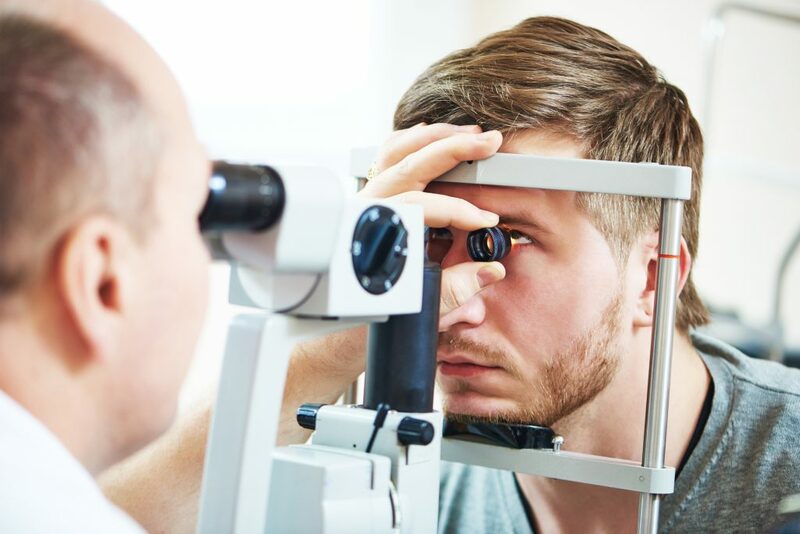 Any time you experience these symptoms, you should make an appointment with Kniaziew Optometry for a comprehensive eye health examination to rule out a more serious vision problem.